Smart Home Technology: What Can it do For You? Home security systems were one of the first uses of smart home technology. Early systems detected motion and the breaking of glass. More advanced systems in today’s market provide for online surveillance footage and even blocking a thief’s exits. And if window decals stating the home is protected come with your new system, use them. While not high-tech, a study by Rutgers University showed 75 percent of burglars would choose another house based on stickers alone. As more people become concerned about home safety, the smart security market is expected to grow to 18 billion worldwide by 2020. One of the most popular uses for smart home technology is for energy management. Take, for example, smart thermostats. The technology of these thermostats allows you to control the temperature in your home no matter your location. This is especially nice for cooling your home before you even leave the office. You can also control these thermostats from your phone when sick in bed. Smart thermostats sense motion and can tell when a room is not in use, adjusting the temperature accordingly. Remarkably, smart thermostats also know the outside temperature, thanks to receiving weather information via the internet. If an issue arises concerning your home’s temperature, the system alerts you with a text. Monthly reports show your energy savings and show you how to save even more. Smart home technology when it comes to home entertainment will have you soon trading your smartphone for your remote control. By turning your smartphone into a universal remote, you’ll be able to control your TV, your DVD device, and your music. For the ultimate smart home entertainment system, start by purchasing a smart TV. The difference a smart TV provides a standard TV is the ability to stream programs directly from the internet. A smart TV can also remember which programs you watched and recommend similar ones. Add a smart projector to your line-up, along with wireless Bluetooth speakers and you are all set for your personal movie night. Smart lighting technology allows for both energy savings and security. Turning lights off or on from your smartphone or central control panel are just more examples of how smart technology makes your life easier. Some smart light systems require the use of a hub plugged into a router. Other systems can be accessorized with dimmer switches and motion detectors. If you are new to implementing smart technology in your home, starting with an electrical inspection is a great idea. While many systems are wireless in operation, some components like control panels require installation. A review of existing electrical outlets and wiring is always a good idea. Penny Electric is highly experienced with installing smart technology systems and in knowing what is needed to begin. Start smart by contacting us today. No matter where you start, i.e. 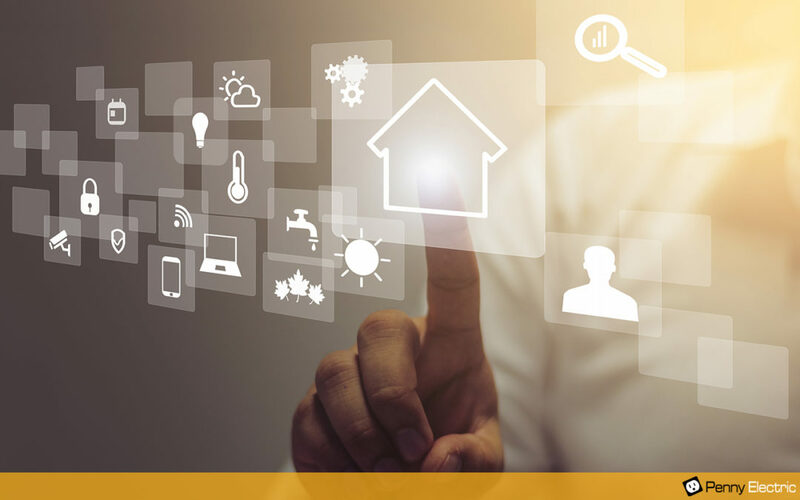 your thermostat, security, home entertainment, or lighting, ensuring your electrical system is up-to-date and ready provides a foundation for smart technology success.